As a visiting researcher in Modern History writing a thesis about the German immigration to South Brazil during the 19th century, I spent two months in Sao Leopoldo, a small town near Porto Alegre, in the southern Brazilian state Rio Grande do Sul. 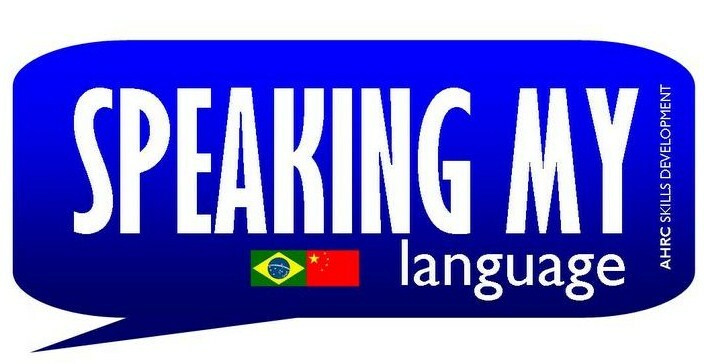 At the beginning of my stay, my language competency in Portuguese only reached from Como estas? to Eu me chamo Daniela. So I was quiet desperate when meeting the Tomazis, my host family during the whole period of my stay in Sao Leopoldo, and not being able to properly talk with them. Thanks to my knowledge of Italian and the resemblance that all Roman languages bear, I at least was able to understand what they were saying. Nevertheless, I was quiet devastated about the fact that I couldn´t express myself for usually being a rather chatty person in the very sense of the word. 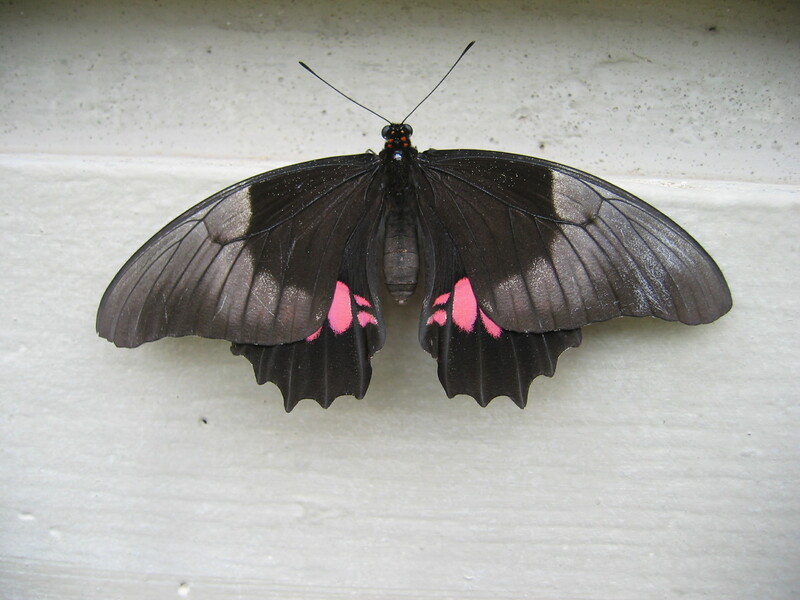 But after all, even the deepest desperation sometimes has the effect to spur on your ambition. I thus met Heloisa, a Brazilian student about to become a German teacher, at the university I was studying at. We met up twice a week in the University library and I started learning Portuguese from the very, very beginning. I felt a little bit like being relegated to primary school again, while Heloisa made me pronounce and write down sentences like Quanto custa isto? or O dia é lindo. But when you start learning a language, you have no other choice than really work hard for it in order to eventually achieve a real breakthrough. Luckily, that wasn´t a long time coming. After three weeks of hard cramming with Heloisa, I was able to talk with my host family about everyday life, music, food and even make jokes. You can imagine, what a great feeling that was! I still have to smile, when I think of it now, and I really thank Heloisa, with whom I still have contact with and who already visited me in Germany, for her persistent patience and her great teaching. During the two months in Sao Leopoldo, I mainly did some research for my thesis at the historical archive at the Universidade do Rio dos Sinos. This was fascinating from two points of view. First, the sources held by the archive were exclusively dealing with the German immigration to South Brazil during the 18th and 19th century. 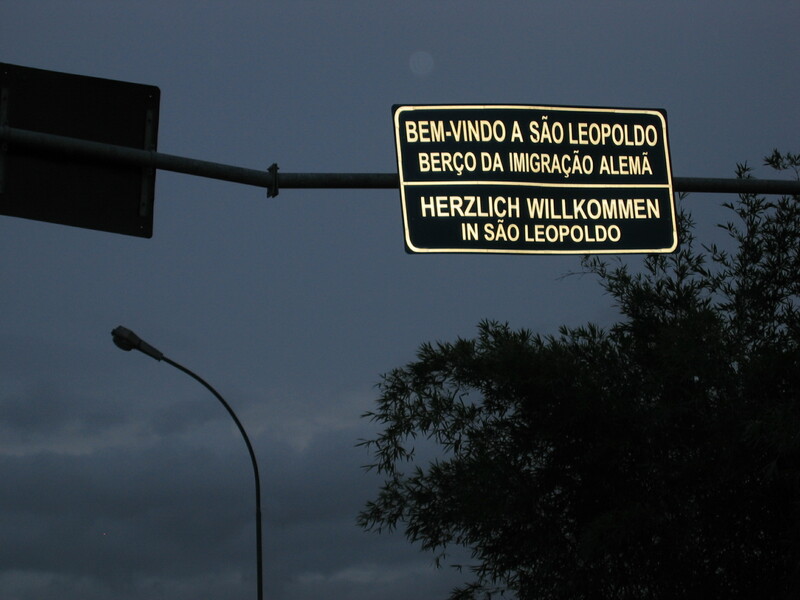 In Europe, it is unfortunately barely known that the Southern part of Brazil and the people living there can rather be considered as European. People there are still much aware of the fact that, due to the high number of Europeans that immigrated to Rio Grande do Sul, they are of German, Italian and Eastern European origin. When you drive through the little towns and villages, you will find shops, restaurants and bakeries with German or Italian surnames on their front door. Once I even entered a shop while being in a conversation with my German friend and after a while, one of the staff members went up to us asking in a Western German accent: Seids ihr von Deitschland? (Are you from Germany?) We both literally remained flabbergasted, because we had never thought that in the deepest South of Brazil, people actually not only do speak German, but indeed still know the dialect of a Western German region called Hunsrück, which was the point of origin of the majority of the German immigrants. The second point which was rather different to Germany, was the university itself. In Brazil, the academic sector is divided into private and public universities. Most young people attend the, to some extend very expensive private universities because the application process at the public universities is quiet demanding and of course highly competitive. The Universidade do Rio dos Sinos is also a private university with all the advantages therefore entailed. Not only being an academic institution with excellent working conditions, a huge library, plenty of room to study unhurriedly and several sport facilities, the Universidade do Rio dos Sinos at the same time appeared to me as being a huge mall with several shops, coffee shops and even a food court, which lived up to its name. Plus: there even was a rest room featured with couches, where students could take a nap between their courses on a busy day. The entire atmosphere and the given opportunities to distract your mind a bit during studying quiet amazed me and were so different to my German university at home. Apart from the university, the southern Brazilian eating habits left me quiet flabbergasted as well, as being a true food lunatic. On the first night, my host family took me out for dinner to a place, which from the outside looked like a usual, innocent Italian pizzeria and I was rather disappointed to be honest, because I wanted to try something typically Brazilian and not the usual Italian pizza, which you can find everywhere in Germany. But how wrong was I about that! After having entered the restaurant, I became part of a real food event – yes, I prefer describing it as an event – called pizza rodízio. During a Brazilian pizza rodízio, the waitresses walk around with pizzas of all kinds of tastes you possibly can imagine and serve you as much pizza as you want and (more importantly) manage to eat. 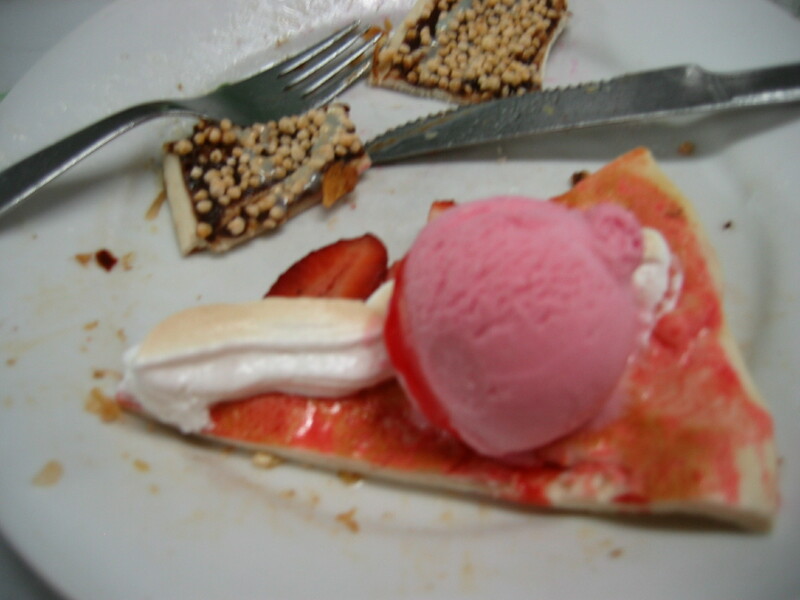 On your table, you will find a small buckler with the words salgado (salted) and doce (sweet) on it, which you can turn, so that waitresses would know if you´d prefer a salted or sweet pizza. Yes, you got it right: in Brazil, they have sweet pizza, with e.g. ice cream on it, chocolate chips or a crust filled with melted white chocolate. If anything else, Brazilians love their rodízios and you´ll find this all-you-can-eat manner with style kind of eating in nearly every Brazilian restaurant. People also do have private rodízios, which is a real happening and rather a party. Family and friends meet up to have a big barbecue with different kinds of fresh grilled meat, salads and self-made Caipirinhas. Apart from the excellent food, I made the experience, that having a rodízio always turned out to a night fraught with nice conversations, people´s laughs and jokes, someone always at a certain point singing a traditional Brazilian song, playing the guitar or starting to dance. Just for the record, I spent many such rodízio nights in Brazil and the mood they always carried, made me start to love the Brazilians way of enjoying life. Even if I was quiet busy with my research, staying in Brazil felt like constantly being on a holiday as well, because you always find plenty of opportunities to travel and explore the vast landscape of this huge country. So did I. For a week, I rented a car and travelled through the area. During this adventurous road trip, I found myself in an authentic South American setting of bumpy, endless roads to nowhere, tropical plants, animals and unlimited skies. Sometimes the weather used to change out of a sudden from being chilly and rainy to a sunny, blue sky with a colourful rainbow that seemed to be infinite. 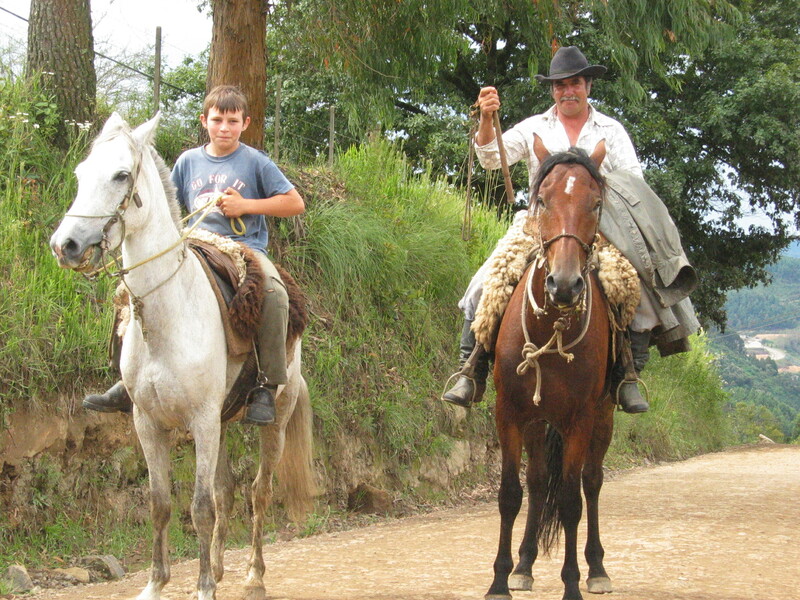 On my way, I passed small, tiny villages and huge ranches, also being the home of the gaúchos, the cowboys of South Brazil, that you will also find in the precinct of Porto Alegre in their traditional clothing. This road trip additionally broadened my Brazilian horizon of experience and gave me the possibility to enter the secret, hidden world behind the surface of Rio Grande do Sul. As a matter of fact, everything in life sometimes comes to an end just too quickly. So was my stay in Brazil and I had to say goodbye to my host family, Heloisa, the staff at the university and Sao Leopoldo. The Tomazis threw a big party for me, including of course a nice rodizio. It was not one of the goodbyes you sometimes wait for to arrive in order to finally go home and be with your own folks again. This was a rather emotional and tearful kind of goodbye, with many warm hugs, farewell gifts and final chats about the great things we did together during this short period of my stay. I didn´t realize, how sad I actually was about having to leave, until the 7-year-old niece of the family came up to me and handed me a picture she had drawn, on which she had written: “Dear Daniela, I am so sad that you are leaving. Please write to me.” I couldn´t help it, but that was the moment when I myself finally had to cry. When I look back now on my personal experience of Brazil while writing this report,I remember those scenes I above described and I ask myself, what it eventually was, that I gained during my time in Sao Leopoldo. The answer only leads to a positive conclusion. I learned a language, which before my arrival in BraziI I literally had no single clue of, but which, back in Germany, I continued learning and loving so much that I decided to attend a course of Portuguese philology besides my main academic subject of Modern History. I was able to study in an excellent academic environment and accomplished my thesis about German immigration to Southern Brazil with a major result, thanks to the precious and unique sources in the historical archive of the Universidade do Rio dos Sinos. I could add a professional research experience abroad to my CV and at the same time stick lovely pictures into a new photo album entitled Brazil 2007. I started rehearsing Bossa Nova songs, songs by Brazilian singers such as Elis Regina, Gaetano Veloso and Gilberto Gil in my singing lessons. But apart from all the positive effects and the unique inspiration I gained, there is one thing I cherish the most and which makes me smile, everytime I see it. It is the key to the house of the Tomazi family in Sao Leopoldo that they gave to me as a present for my birthday saying that I was always welcomed to come back and use it. So in the end it is especially this, what I consider as the first prize within my Brazilian experience: Friends and a family on the other side of the Atlantic. It’s a shame this programme isn’t open to those of us in academic jobs who can no longer claim to be ‘post-doctoral’. You know, I did actually receive an email today from a member of staff in another College asking if they could apply to the programme. I don’t blame them! A little over two weeks left to apply, for those of you fortunate enough to be eligible!